You might like foreign-language movies of the late 1960s, or maybe you’re into DC-DC switching step-up power supplies. (Or, like us, both!) None of these categories are likely to sell as well as the newest superhero film or cell phone. The former are examples of niche items that only interest a small fraction of the public, in contrast to blockbusters which have a broader appeal. Around the turn of the century, there were video rental stores where they had physical stock of VHS cassette tapes on rows and rows of shelves. These stores had to pay rent, and you could pretty easily divide up the rent on a square foot of retail space by the footprint of some VHS cassettes on a shelf, and figure out how much it cost a video rental store per month to keep any given title in stock. One of the last, and largest of these video rental store chains was named, coincidentally “Blockbuster”. And that’s what they kept in stock: blockbusters. 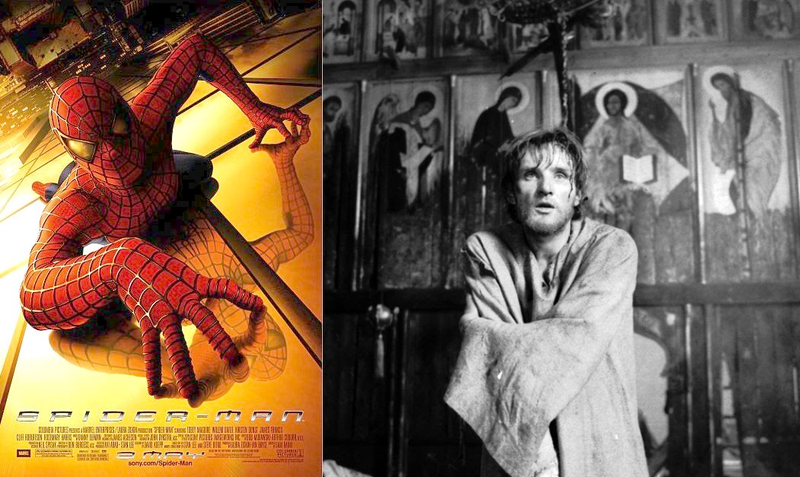 Because the additional cost of stocking any video was the same, Blockbuster didn’t have to think very hard about the choice between filling their shelves with Tobey Maguire as Spider-Man versus a copy of Andrei Rublev, maybe one of the best movies of all time. If the marginal cost of stocking another video, to use the economist’s term for the cost of adding or producing an additional unit, was higher than the amount of money they expected to earn on any given title, it wasn’t on their shelves, even though there were more niche titles than blockbusters. Then along came Netflix. They stored videos on CDs, without the cases, in warehouses where rent was cheap. 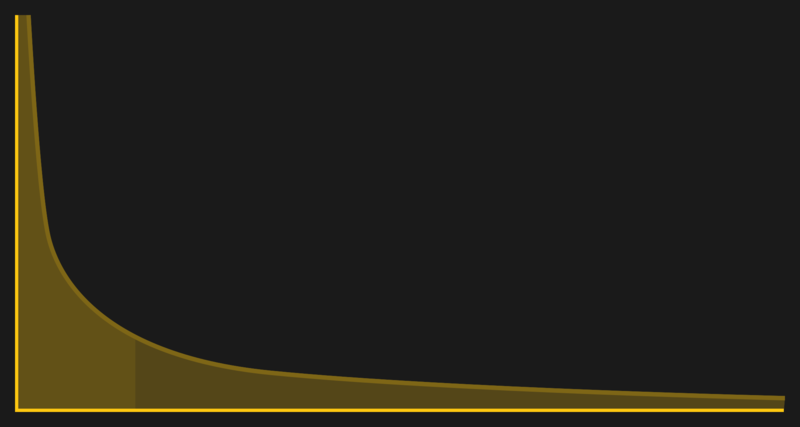 The marginal cost of adding another title was pretty close to zero. And all of a sudden, I could rent all of the Tarkovsky movies because Netflix could still make money off me. Now that videos are delivered as data, the marginal cost is very close to zero, and you can watch the strangest things imaginable. Even in very small quantities, when the marginal cost of variety is low enough, it’s worth it for Netflix to cater to everyone. In case you think this article has totally lost its relevance to Hackaday, feel free to re-read the above paragraphs, but substitute Radio Shack for Blockbuster. How much shelf space were they going to be able to profitably devote to resistors versus cell phones or batteries? Remember how we used to complain about the weak parts selection? That’s how a movie nerd felt walking into Blockbuster. But if Radio Shack was Blockbuster, who is the DIY electronics Netflix? 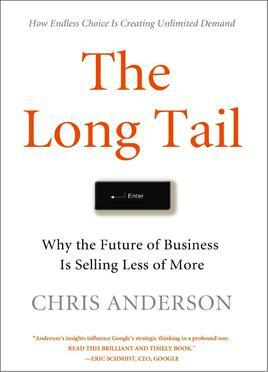 When business types think of the “Long Tail” argument above, most popularly advanced through [Chris Anderson]’s book of the same name, they think about the firms that capitalize on these decreasing marginal costs of variety to snap up extra business. While one title may be rented millions of times, there may also be millions of titles that are only going to be rented a few times. If the cost of carrying a niche title was low enough, there would be millions of dollars to be made by renting out these “long tail” videos when you added them all together. Amazon and Netflix were the poster children of the mid-2000s. But eBay, Alibaba, Etsy, and Banggood are in the same boat, if not even better exemplars. How much does it cost Etsy to add another supplier of hand-sculpted, breakfast-shaped rings? Nothing, so they add another seller and make more money by brokering more stuff. We DIYers are huge beneficiaries of all of this long-tail business. In 2002, it would take a week’s work to find a factory in China that was making suitable DC-DC buck converters; now it takes a few mouse clicks. And the result is that an incredible variety of DIY raw materials, and not just blockbusters on the scale of a new cell phone or fitness tracker watch, are now available and make sense for the producers to sell even in quantity one. Which means that we can buy them in quantity one. Thanks eBay, Alibaba, or whatever. And there are niches within niches. Even the DC-DC converter is a mass-produced item, as is an Arduino — probably the closest thing to a blockbuster in our little world. That doesn’t stop a company like eBay or Tindie (which our overlords, Supply Frame, purchased a couple years ago) from taking advantage of the decreased marginal cost of variety and registering an additional seller, or auctioning their one-off widget. And that means that you can get a breakout board for a magnetic rotation encoder or virtually anything, assembled by the hand of it’s designer. So sure, it’s mass production that makes the bare rotation encoder IC cheap. But that wouldn’t mean anything to the home hacker if we couldn’t also get our hands on the parts. It’s the decreasing cost of getting access to niche firms, and them gaining access to us, that makes the items available in the first place. And we win from this change, both as the hacker consumer of oddball breakout boards and as the hacker entrepreneur who can start up a small-scale business. Economies of scale — an additional unit of the same thing costing less to produce than the previous one — are responsible for the low, low price of an ESP8266 module. But the decreasing costs of doing business, of listing an extra item for sale on the Interwebs, is what get us the variety. Looking toward the future, I can’t see the marginal cost of variety doing anything other than continuing to decrease, either. These are glorious times! Pretty much spot on. If there’s a negative here is the amount of work it requires to find what would work best for one’s application. I remember when I use to have shelves of data-books and other resources trying to find that one part that would do what I needed. Now here we are in the garden of plenty, and there could be many parts from all over the world that could do what’s needed. Honestly, I run into this problem annoyingly often. I go through digikey and whittle away things in difficult packages, and weird (expensive) ranges and tolerances, and i get hundreds of items in stock with miniscule differences. Most often it turns into a preferred brand out of the 100-odd parts that are all almost identical, and where the tiny differences make no impact to my breadboard circuits. Ah, the Paradox of Choice strikes again! Also, looking at this from the supply side (as this article excellently covers the demand side), there are problems for the firms that want to enter the market as suppliers. In the Etsy example, yes, it doesn’t cost anything for Etsy to add a new product/artisan to their marketplace, but the marketing motivation becomes less about “buy my widget because it is interesting and unique” and more about “LOOK AT MEEEEE!!!! You need to buy MY thing because *I* made it!” It’s not a perfect example, but its this sort of marketplace over-saturation that will inevitably lead to manufacturers/suppliers/artisans/YouTube personalities crying uncle and dropping out of the game with dire consequences for the demand side. These are gilded times, indeed, but the bigger a bubble gets, the more likely it is to pop…. I’m imagining Alan Greenspan itching to be back in the driver’s seat of the Federal Reserve, to “put the needled in the bubble” as he did by raising interest rates to pop the .com bubble. It wasn’t “irrational exuberance”, it was people making money hand over fist, then he dashed everything onto the rocks by making their credit payments exceed their income. Yes Greenspan went out of his way to destroy the dot com bubble. Paranoid much. I bet you think investing in Twitter is the best retirement plan in the world. When the Fed adjusts interest rates it is to ensure that the economy doesn’t tank into a full on Great Depression and that the growth of the economy is sustainable. What he did was classic basic economics. I don’t think you understand the difference between wild speculation and increasing value due to people buying your products for more than cost. Being able to sell shares at a profit to an even more foolish speculator than yourself isn’t an economically sustainable or useful thing. If the dot com companies were making a profit then you can argue they were enhancing value, but most were losing money hand-over-fist, and had no realistic plan for ever being profitable. Speculators were throwing money at them without any thought for this, and the longer that went on the harder the fall would be when the market woke up and realised this. Perhaps I’m a big rummy because I thought the interest rate adjustments by the Fed affects new debt, not existing debt, unless that existing debt is subject to an adjustable interest rate. IMO legislation should be passed to prohibit people from borrowing money to gamble in any investment. Sad day for anyone and I if we cant earn and save enough money to gamble. Any sector can’t survive with out leverage investments couldn’t survive anyway. Anyone who borrows at an adjustable rate have only themselves to blame, that’s the irrational exuberance. While the Fed isn’t perfect, more problems are created by general public expecting ever growing returns on their investments, regardless of how they come by the money they invest. The only leveraged investment that could work out well is one’s residence, assuming a modest residence. That’s a good read, thank you. Great summary. It is amazing. Its like drinking from a fire hose though as there is so much for so cheap I can’t buy and use them all fast enough. Great article. Good job. I own a small business where in the beginning we use to cater to only large companies. Business was good. But when we started offering services to smaller businesses our profits skyrocketed. We made more money by getting $2k-$3k contracts with 10 small companies then one big contract with a big company. i guess its basic economics but it took awhile to realize that. For a number of years in the 90s, there was a store on Long Island [NY] called “Active Electronics” – they were the NETFLIX to Radio Shack’s Blockbuster – Imagine 2000+ sq ft of isles lined with polypacks of parts from resistors and caps to 74 series of ICs in all flavors – plain, LS, HC to Soldering Irons – the first time I wandered in there, I truly felt I was in parts heaven. I still have unopened bags of some parts in my bins. Active was a chain out of Quebec, and they had a good number of stores. Many areas had local stores, as well, such as ‘DIY’ near Boston (Natic, maybe?) and IEI in the middle of New Jersey (still there, last I saw). Most were disappearing by the mid-1990’s, and gone not long after 2000. As handy as these stores were, I was part of the problem, since they couldn’t compete price or variety wize with the catalogs (Jameco, DigiKey, Mouser, Newark, et al) at the time, and certainly not since the advent of on-line ordering and fast shipping. The only real advantage they held was when I needed something RIGHT NOW, and when they had in store demos… I still remember a demo from the Delta rep back in maybe 1990: efficiency vs. noise vs. stability for various switching supply topologies and linear postregulation. I don’t remember which store, though. Might have been Active. I know it wasn’t Hefron’s. There are still a few Active stores around. I remember a big consolidation and rebrand into Active123 a few years back, and the one in my town closed, but there is still one in the next big city. You are very right though, as there really wasn’t any store that came close to the stock and convenience for the time. I usually make a point of stopping in and buying tools and odd parts when I am driving through. First, there was Future Electronics, and if I recall, I actually went to them a few times. It was a distributor, already big in the early seventies, but not aimed at hobbyists. But either they were opening up, or I actually went to an Active Electronics. It was a warehouse with a tiny reception area. You’d sit in one of the few chairs, fill out a form with your order, and wait. Someone from the warehouse would collect the parts on your order while you waited. There was a minimum, maybe ten dollars, but beyond that, they didn’t care how small your order was. A bit later, the same building had a much larger public space, a more traditional arrangement. Some items were on pegboard, but you could till order small amounts by form. That’s what migrated from here in Montreal to elsewhere. They were fairly stocked, because it was run by Future Electronics. Though with time, there was a greater shift to prepackaged, so you had to buy a certain number of this part if you wanted one, though prices were still good. But for some reason I stopped making the trek and then more time than I realized went by. I hadn’t realized that Active had mostly disappeared, including here, until relatively recently. But about 1975, it was a big thing. We still had some old style parts stores, but they were disappearing. More important, they didn’t make that big a shift to the world of ICs, so they didn’t have all that we needed as time went on, though you could pay a lot and get HEP replacement line parts. But Active was great, right at the time we needed lots of TTL ICs. The existing distributors weren’t really hospitable to the hobbyist, not set up to deal in small orders. But it was a transition time. Digikey started out selling small electronic kits for sending code, then started selling parts. Originally it was a subset, like many mailorder places that advertised in the hobby magazines. Jameco was puny too when it started. But because they were successful, they got big, Digikey has taken the place of the big distributors from fifty years ago, but somehow stays friendly to relatively small orders. Active was active for some time, right when digital was becoming a big thing, so it was there for the hobbyists, but also the student, and probably helped get small businesses started. My first trips on the subway by myself were to those stores, and I soon was walking down to them. When Active opened, someone had a car by then, though later I’d walk, saving bus fare but enjoying the walk. Mail order, and internet business is just a modified mail order, isn’t the same. Down here in Houston, Texas, we have a nice little outfit called “Electronic Parts Outlet” … the pictures on their site don’t do their incredible selection justice, though they hardly make it look like a slouch. If it wasn’t 50 miles away from me, I’d probably go there weekly, if only to browse. Invaluable when you need to visually verify that something is what you think it is. They’ve been around for a long time (been going there infrequently for almost 20 years), and it doesn’t seem to be going anywhere any time soon. I’d more characterize it as DigiKey being Netflix to Active’s Blockbuster. DigiKey predates the web, of course, and they were a catalog business back in the day, but they better than anyone I can think of transitioned themselves from paper catalog to online juggernaut. IMHO within their niche they’re an equal to Netflix or Amazon in monetizing the long tail. I do most of my odd-ball part shopping on aliexpress and ebay. I wonder if others could share their favorite, lesser-known spots for finding parts? Actually, the good thing of having a “reliable” E-Waste source is the “shipping” time that can be less than an hour for general purpose components. No E-waste bins since I don’t live in an apartment or work in an office building, but I do have extended family who have given me a pile of +10-year old PCs. Another factor in making variety cheap for distributors and thus available to us is simply the miniaturization of everything electronic… So the number or parts DigiKey (for instance) can stock in commercially useful quantities for any given number of square meters of expensive humidity-controlled warehouse space goes up quite a bit when we’re talking about reels of SOICs rather than trays of boxes of tubes of DIPs. Every time they stop carrying this or that in DIP and replace it with its SOIC/QF[PN]/BGA version they suddenly have space for one or two more stocked items. Not to mention that Digikey can ship you 100 ATMEGA328s in QFP in a box that qualifies for <$4 USPS First Class Small Parcel rather than the once common 2ft long boxes made DIP tubes. Even if I can go across town to Fry's for a component, Digikey wins out after markup and gas unless I need the part immediately. Thank you China. Let’s give credit where credit is due. Terrible batteries, but cheap reliable cloned micros. Hacking implies DIY hobbiests with a processor and emphasis on writing code using digital electronics, but little if any analog. Sensors providing digital output make this all too convenient. Hams know analog and have naturally added hacking as a skill… but a hacker is not a Ham. Very few hackers own an ARRL handbook, nor have the speed of light on the tip of their tongue. A great EE comes close… but a Ham is a Ham due to a driving enthusiasm that (usually) consumes a paycheck instead of providing one. Digital came along and eased many things, but diluted the need for in-depth electronics knowledge at the same time. Today the common route is to throw a Raspi or Arduino, or maybe an ESP at the thing and write code to do the work. There’s still a little bit of analog to do but you can pretty much wing it without a calculator by simply estimating the R’s and C’s through trial and and error. Inductor? Who said that? Q? Not trying to debate… just think it should be kept in mind. I apologize for having, in some way, created a disturbance in the force that surrounds you. Suggest Roundup be skipped and the dandelions picked as they provide a wonderful salad and the flowers make a great wine! And smile! Every smile adds a few minutes to your life. let me guess.. you consider yourself a Ham. Nope. Was taught ham and dabbled enough, found it wasn’t interesting except for antenna theory and application. Uncle is the one that went big into broadcast and ham… as in BIG. I do tinker at home and have a reasonable electronics lab, but my hobby has always been my employment. That’s mostly computers, video, networking, robotics, high reliability, medical, lot of medical. Top of the field service force for anesthesia equip mfg that holds 60% of the world market. Mfg engineer for them for several years as well. Did flight simulator maintenance for a good while too. Most fun I’ve ever had was a pharmacy robotics system, first proposed production model yet still an experiment, size of a mobile home. Pneumatics, hydraulics, hi-power servo motors, vacuum, network, yadda, yadda. 12 mo to get it up and running for 100% of patients for a juicy $$$$ bonus. Hosp staff put a cot behind it for me as 20 hr days were the norm. I did it in 3 mo. For a couple years after I took calls from techs trying to install them at other hospitals… nobody managed it in under 18 mo. Those robots are in most hospitals now. Some others can be funny if not so great. Early 90’s, Maker of the World’s Finest Take-offs, 100% stainless steel, These detect when the cow is done giving milk and RIP the cups off their teats. Well… they have a guy entering the ear tag number of every cow so they can track it’s milk production to the ounce, and they wanted to eliminate that paycheck from the milking parlor. So they hired me (lotta farm experience) to work with a hardware vendor to develop a video system that could ID the cows that way instead. I got it working… but they hadn’t thought too well on it beforehand. You see… cows like to lay in the mud when they ruminate after a good meal… so for the camera to ID them we now had to hire a guy to wash their butts off first! My hobby has been my employment. The electronics I tinker with at home is just for gadgets for the car, home, etc..
pretty cool projects there. Funny anecdote about the cows. I used to work on a farm too btw. I hate to put a guy out of a job, but RFID ear tags? Good catch! Many but not all of the farms were using an RFID based Lactation Cycle Feeding System by Nedap, and we resold it. It is mostly software that tracks every individual cow’s lactation cycle to give the right mix of 3 or 4 different feeds to artificially push milk output way up above what a cow normally provides to a calf, yet not overfeed and waste, plus says when to breed her again to start the next cycle. (They also use hormones to push production up farther.). But we never managed to work out the licensing to also use the RFID for the milking parlor. True pity as the electronics are trivial. Such feeding control is needed for cows consuming that high value feed. If given unlimited amounts they literally won’t stop eating till they actually do eat themselves to death, hence why “dumb as a cow”. Normal grass and hay they can’t do that to themselves. The feeder station(s) itself was interesting and resellers had to make their own back then. Cow walks in, RFID collar is read, computer looks up that one cow to find how much high value feed to give for that day in their lactation cycle. 20ma current loop pulse triggers a measure of feed to be granted. Pulse every few seconds as many times as needed. All stainless steel again. It used a semi truck windshield wiper motor with just a spring removed to make it run for only a single rotation once started, and that drove a wormscrew blade inside a tube at the bottom of a hopper. Up to 3 different types feed per station. Yeah but most of the non-analoguing hobbyists are probably new people, who got into it because it’s much easier, and you don’t need all the theoretical knowledge. Programming software is fairly logical, and you can usually, eventually, see where you went wrong and fix it. That’s not the same for something analogue with a thousand obscure qualities and physical laws that might be causing your problem. Or causing a problem with some other part through some eldritch interaction. If the ham community has shrunk (I dunno, has it? ), I don’t think it’s because of people choosing digital stuff instead. Some people have the dedication, brainpower, and way of thinking to be able to do all that complicated stuff in their stride. Many of us don’t, but thanks to Arduinos and the like we can still usefully command electrons to do our bidding. Overall that’s a good thing. Means more demand for perfboard if nothing else, keeping the price low! I agree and empathize completely. Lone beginning enthusiasts working in isolation is a crying shame but the fact. The answer is they need comprehensive reference materials, PDF format, preferably tailored for the natural progression of the lone enthusiast, suitable for binding or printing and taping to the wall. The problem is there are thousands of sources online today and the quality varies from useless to so complete that it’s overwhelming. This is not a call for links. It is another “pushing rope” kind of problem that unfortunately is so large it needs a committee or at least central director/artist. The Hams had the same problem and ARRL put out handbooks tailored to their needs. How about updating that concept and doing it for hackers? But do it well enough that hackers can obtain the thing and continue on in their isolation, the kinda quality thing where “There Can Be Only One”. This (to me) is probably one of the most significant benefits of the Internet, even though we may not think about it as much. But there are disadvantages too: The last time I bought a roll of solder tin, I got it at one of the electronics stores in my city in the Netherlands about 20 years ago, where I would often go to get parts for electronics projects. But those stores went out of business a long time ago and I don’t live there anymore and besides, they wouldn’t have the same solder tin anymore anyway because of ROHS. Nevertheless, I was running out of solder tin and I got an order on Tindie for a kit that the customer wanted me to pre-assemble. So I needed solder tin fast. I went to Amazon to buy a new roll of solder tin. There’s an Amazon warehouse close by and I was hoping they could deliver the same day. I wasn’t disappointed to find dozens and dozens of different kinds of solder tin, but it made it hard to choose the right one. Many of the sellers offered same day delivery so I ordered a roll somewhere, but it didn’t show up: Instead, I got an email that my same-day delivery wasn’t going to happen. And by that time it was too late to cancel the order, and/or order another one from a different supplier. I had to wait until the next day and I wasn’t very happy about it. I thought tail was mistakenly used for tale, and was expecting a recount of DIY electronics from the very beginning where DIY meant constructing passive components. For me the local Radio Shack was nearly a 50 mile round trip, but at least it was open on week ends when I generally was in that town. Prior to Raio shacks arrival in the mid 70’s the only option in that town was a wholesale outlet that catered to dealer service shops and would grouchily sell items to the hobbyists. I’m pretty much the electronics hobbyist lone ranger in my >2K rural Kansas town on the High Plains. These days I don’t do that much bread boarding or my own PCB projects, because I pretty much done everything I would find interesting to learn. For more modern playthings I seek out any kits that may be available, although they are increasingly rare. In the past month or so many Radio Shack Stores in what could considered to rural Kansas including Wichita had going out of business clearance sales. Auf Wiedersehen old friends. While Cinamart is inexpensive “mail order” is still a PIA, so I have to feel the disappearance of Radio Shack is going to be a negative for young persons with an interest in electronics. Radio Shack hasn’t been a useful single source of hobbyist parts for nearly two decades. There was something nice about walking into a store and imagining all the possibilities for the parts on the racks. Browsing Digikey or ebay auctions doesn’t have nearly the same air of potential that Ye Olde Radio Shack, local shops, or swap meets used to have. You can see this in practice by the following millionaire salesman of $5 potato peelers, Joe Ades. R.I.P. Buy/Manufacture something cheap, that a lot of people want. This way you can afford individual sales, but alot of them. Which collective amount to an entire audience (us) that would otherwise not be available. While still wholesaling in large quantities as a core business model. This is undoubtedly why Joe always pitched “if you buy 4 for $20 … you get one free”.